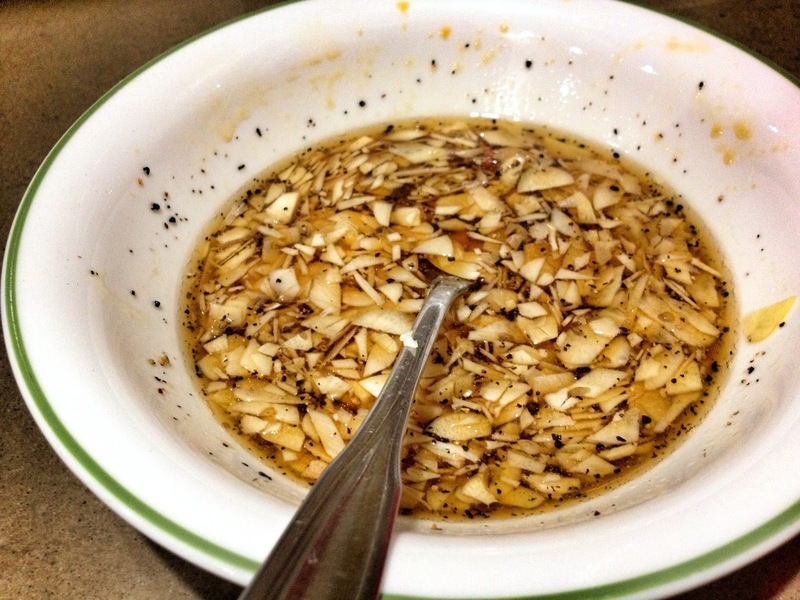 Posted on October 29, 2014 December 2, 2015 by Michelle L.
It’s been a while since I’ve posted a recipe here, I’ve been way too busy with events and other things to even have time for the kitchen these days. However, I am now getting back on track with my ‘packing lunch to work habit’ (it’s a good thing too!) and I need to get back to eating clean, my vacations have been making me eat a lot. For more clean-eating recipes (some salads are great for pairing with this dish), check out Aloha’s list of healthy recipes. For lunch today, I’m having these lovely honey soy chicken with a side of salad. Eating clean doesn’t have to mean bland food. It’s all about balancing between the good and bad; and to take everything in moderation. 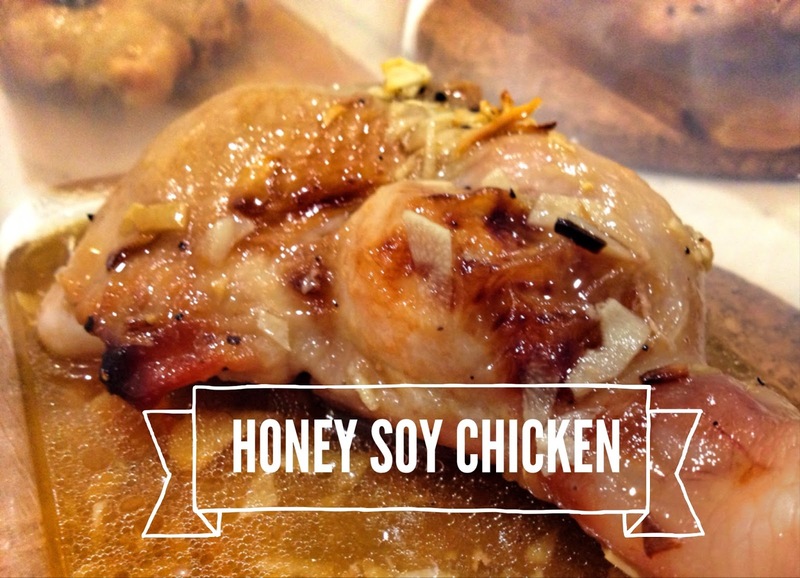 Now this chicken is very simple to make, and takes less than an hour to make. The only solid ingredients you need is the chicken itself and some cloves of garlic. I swear, this is one of the best and easiest Asian recipe that you should have in your home kitchen. The best part? No salt needed. Before you start, please note that I’m making these for two people, for two days’ worth of lunches. Feel free to down size the ingredient measurements to suit your needs. 1. Preheat your oven to 220 °C. 3. 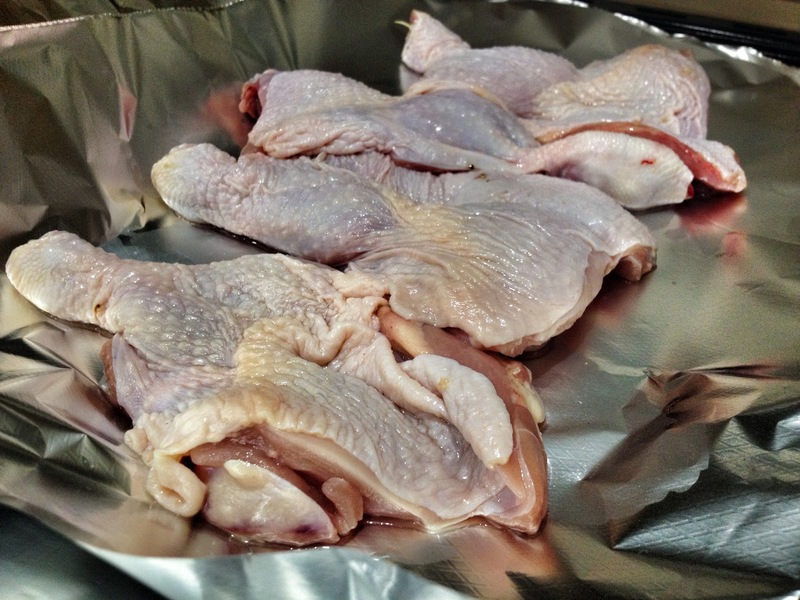 Lay out the chicken thighs on two sheets of aluminium foil. 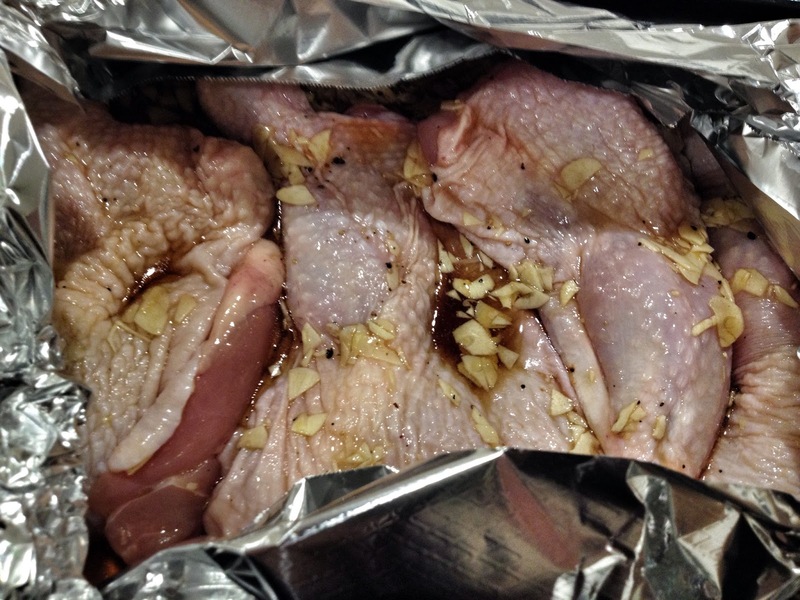 The double layer helps insulate the sauce and chicken better, and it keeps the sauce from drying away. 5. Pop into the oven and bake for 40 minutes. Be sure to check in and make sure the top of the chicken does not start to burn. If it does, just close the top of the aluminium foil and let it bake until time is up. The garlic was supposed to be minced, but my boyfriend (my kitchen helper, really) used the slicer instead. Wash your chicken and pat them dry with paper towels before placing them here. Leave the top open to get a nice bit of browning. Some of the garlic on top got nicely crispy. Yums! Enjoy! 🙂 Do let me know how it went for you if you do try this out.